Just a piece of furniture? 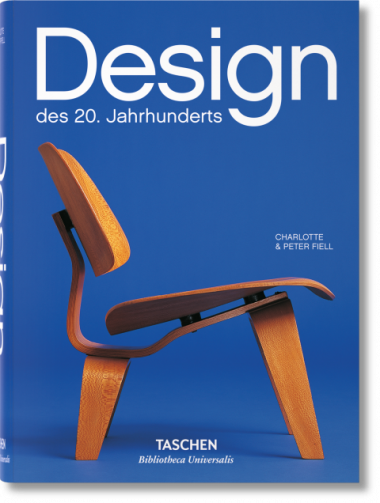 A chair has been always a decisive step in a designer’s career. From eating to working to transportation, it is in this item of furniture that we accomplish most everyday activities. In the careful composition of seat, back and legs, the designer must master the requirements, and the interplay, of ergonomics and beauty, with a constant eye on real-life use. Quality, I tend to say, is usually represented by three characteristics: innovation (in form, function, composition, material); production value (when we see that production was taken care of so that a product will endure time): and timelessness (when a product can resist the trends of time, always remaining relevant). 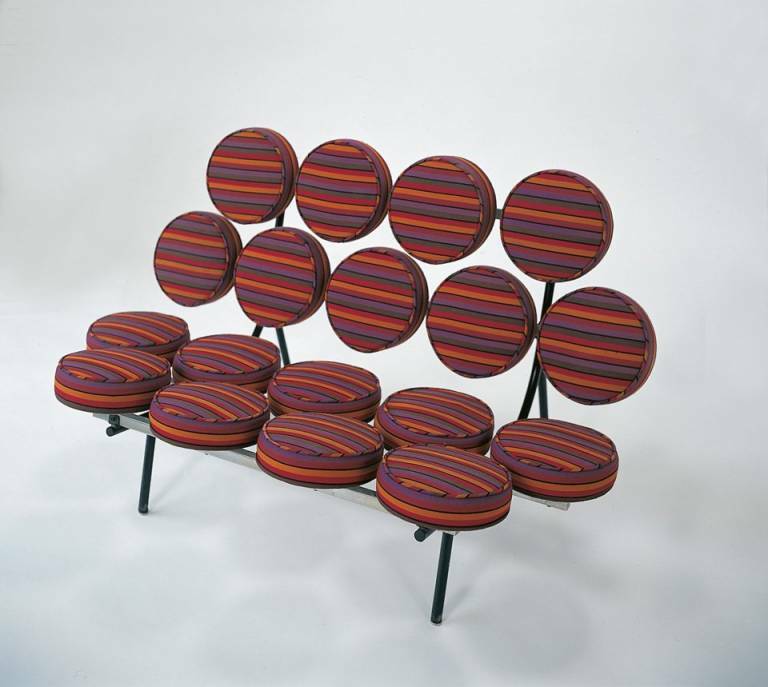 The Marshmallow Sofa from 1956 is a Nelson showpiece. 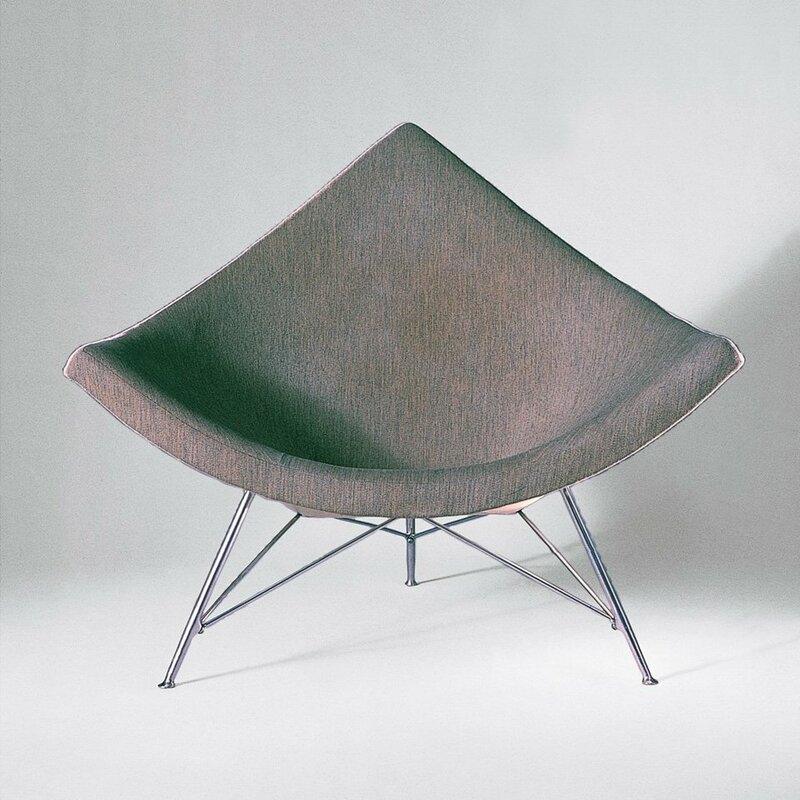 In Hermann Miller’s original catalogue it is described, as “Despite the astonishing appearance… very comfortable”. Produced with 18 round cushions in different colours, it was quickly associated with the pop-art movement in the 60s. Its aesthetics fit in very different environments, from clean modernist houses to funky restaurant lounges. The design also allowed for cushions to be changed, so that the same piece could offer variety over time and be adapted to new settings.